doTERRA Back to School Diffuser Blends with Recipes No ratings yet. Do you need a little help preparing for school? I sure do! These doTERRA Back to School Diffuser Blends might really help them. I have a really hard getting my kids to focus and concentrate on getting back into a routine and schedule when school starts. It happens every year at the beginning of the school year. 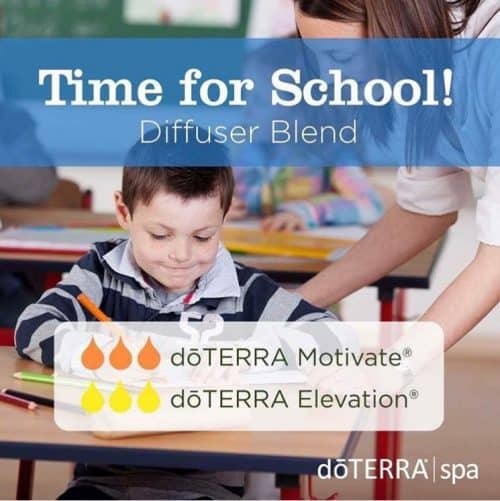 These doTERRA Back to School Diffuser Blends will help our kids be ready to start learning again, whether you home school or your kids go to a formal school. You could use these while your children are doing their homework or during learning time if they are homeschooled. It’s so easy to just put a couple of drops of essential oil in a diffuser and turn it on. It only takes a few seconds and it’s good for hours. Hope your kids enjoy learning this year. Have a lot of fun diffusing! The fine print: In order for me to support my blogging activities, I may receive monetary compensation or other types of remuneration for my endorsement, recommendation, testimonial and/or link to any products or services from this blog. Best Essential Oils is a participant in the Amazon Services LLC Associates Program, an affiliate advertising program designed to provide a means for sites to earn advertising fees by advertising and linking to amazon.com. I try my best to be honest and will not recommend products I truly don’t believe in.